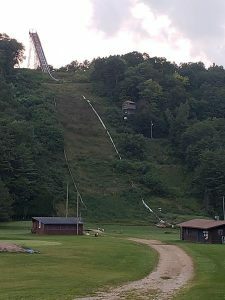 Perched above Timber Coulee just north of Westby in Vernon County, the Snowflake Ski Jump – used for national and international competitions – is the highest of five jumps used by skiing enthusiasts and draws competitors from all over the world each winter. It is considered a “large hill,” meaning it has a K-spot (a hill’s steepest point) of at least 106 meters. The jump rises 118-meters/387 feet high, qualifying it for Olympic trials. It is the seventh largest such ski jump in North America. It was constructed in 1960, and the first ski jumping tournament took place in 1961. Tournaments have been held every year since. Currently, the record is held by Fredrik Bjerkeengen of Norway, who jumped 130 meters on February 10, 2008. 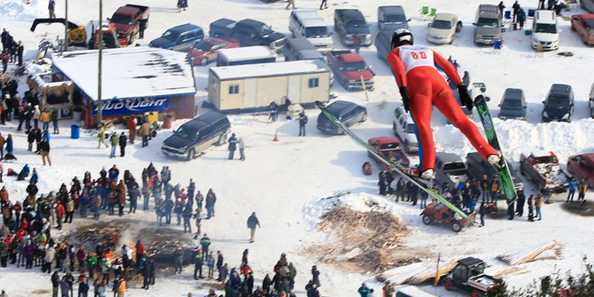 The Large Hill Meet is held early each year in February and attracts not only U.S. ski jumpers but competitors from around the world. The four smaller hills at the site include a 65 meter hill, as well as smaller 40, 20, and 10 meter hills for training junior jumpers. 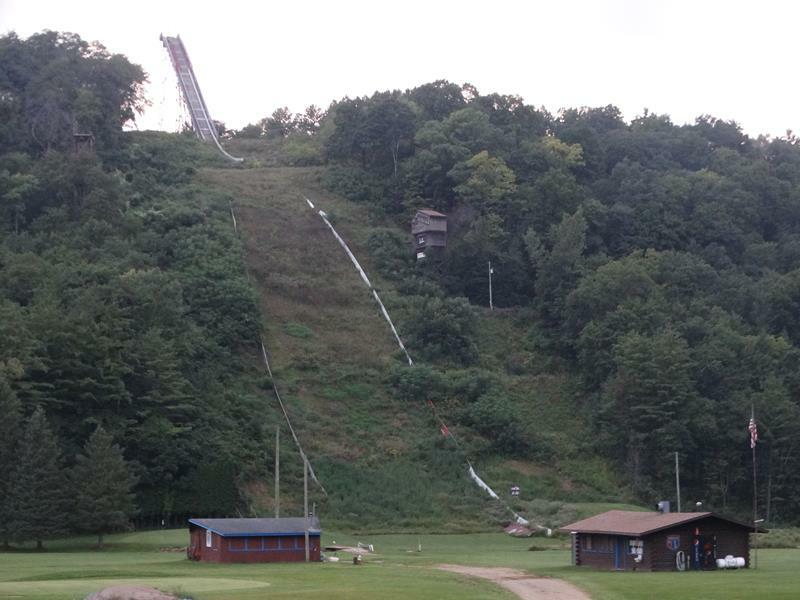 Many Olympic and world-class ski jumpers have competed at the complex; their annual events draw thousands of spectators each year. 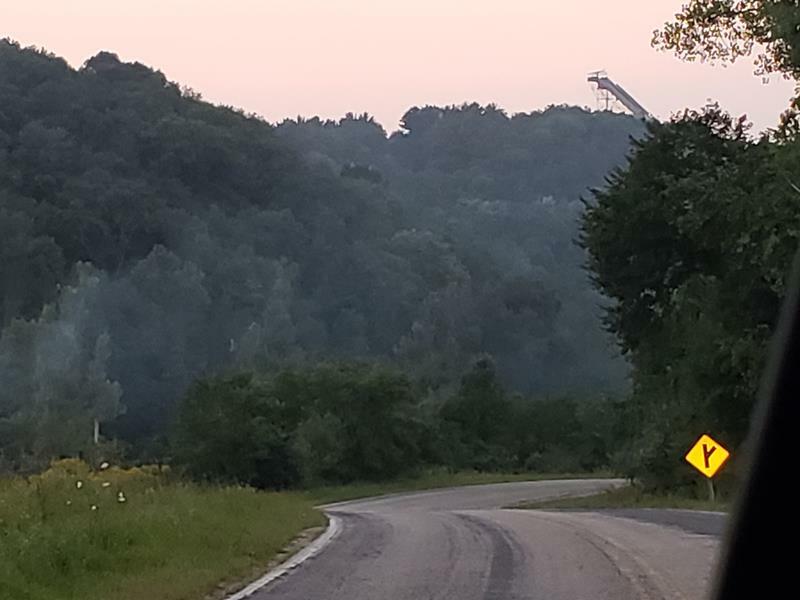 This is the Snowflake Ski Jump from County P, about two miles from Highway 27. And yes, on a clear day, it towers above the horizon from the highway, too. Snowflake Ski Club members donate many hours preparing and grooming the hills, making use of snowmaking and grooming equipment to keep the hills in good condition regardless of natural snowfall. During the summer, you can check out Snowflake for golf and more. They also host numerous events throughout the year. To reach Snowflake from Westby or Sparta: follow County P west from Highway 27. Highway P winds around for several miles before you reach the Snowflake Ski Club & Golf Course. The intersection is just a few miles north of Westby, off U.S. 14/61. To reach Snowflake from Norskedalen: follow County P east from County PI about five miles.